Grammy-nominated violinist Robert McDuffie enjoys a dynamic and multi-faceted career. While appearing as soloist with the world’s foremost orchestras on five continents, he has also shared the stage with Rolling Stones pianist Chuck Leavell and the late Gregg Allman in “Midnight Rider”, and with actress and playwright Anna Deavere Smith in Martin Luther King’s “Letter from Birmingham Jail”. 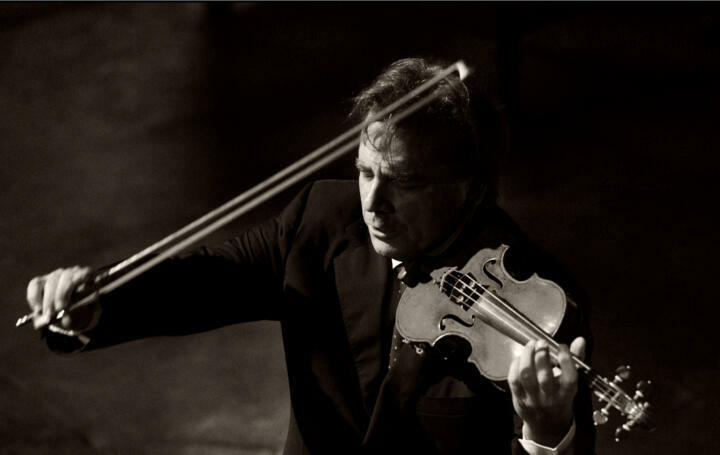 Philip Glass dedicated his Second Violin Concerto, “The American Four Seasons”, to Mr. McDuffie. Mike Mills of the iconic band R.E.M. composed a Concerto for Violin, Rock Band, and String Orchestra for him. Mr. McDuffie has been performing both of these works throughout the United States and abroad and has recorded both on the Orange Mountain Music Label. His discography also includes acclaimed recordings on Telarc and EMI. Upcoming performances include “An Evening of Georgia Music” tour with Mike Mills and Chuck Leavell, as well as a recital tour with Robert Spano. As soloist and conductor, McDuffie will perform Vivaldi’s Four Seasons and Glass’ American Four Seasons throughout Italy with La Verdi Orchestra of Milan. Summer includes returning to the Aspen Music Festival and to the Boulder Colorado Music Festival. Robert McDuffie is the founder of the Rome Chamber Music Festival in Italy, where he has been given the prestigious Premio Simpatia by the mayor of Rome and will be awarded the Premio delle Muse at the Palazzo Vecchio in Florence, Italy. He is also founder of the Robert McDuffie Center for Strings, a conservatory for undergraduate and graduate students at Mercer University in his native city of Macon, Georgia. Robert McDuffie plays a 1735 Guarneri del Gesù violin, the “Ladenburg”, which is owned by a limited partnership formed by Mr. McDuffie.